Two minors have sustained several injuries during an accident. 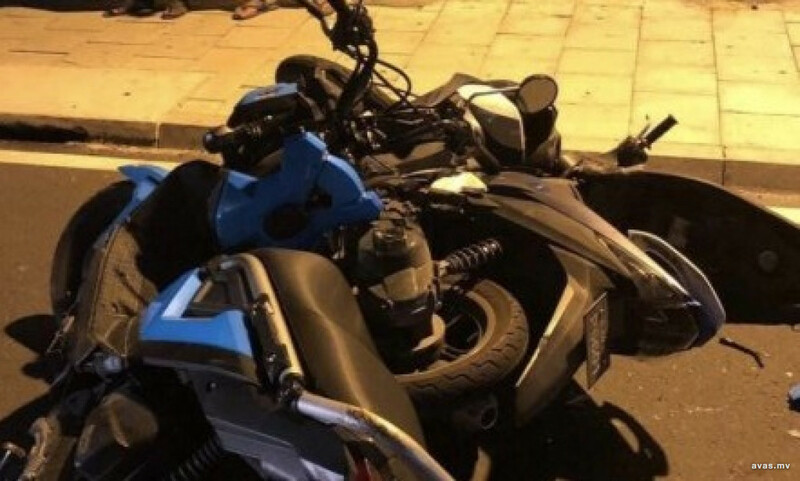 Police confirmed that the incident occurred near the People's Majlis early on Saturday morning around 1 am, when a speeding motorcycle lost control while trying to overtake another vehicle, and crashed into a car parked nearby. Two 16 year olds and a 26 year old were injured in the accident. The two minors were driving the speeding vehicle while the 26 year old male was on another bike. The teenagers are now receiving treatment for the injures sustained.